This new measure will make Sea-Tac the first airport in the U.S. to allow visitors beyond security since 9/11. The “Visitor Pass Program” will allow people without tickets to access domestic travel gates only after a TSA screening, the Seattle Times explained. During this test run, the program will only allow 50 visitors per day. Sign up will happen online before 1:30 p.m. on the day before their visit. If the TSA sends an approval email, the would-be visitor may pick up a pass when they arrive at the airport the next day. Signing up, however, does not guarantee a spot, so it’s good to act fast. Visitors with passes must also have a photo ID and go through the same TSA checkpoint as ticketed passengers (sorry, you can’t get away from those body scans just yet). The day pass also encourages non-travelers to shop and eat at the airport, thereby increasing revenue for Sea-Tac as well. “The fact that you can say goodbye to your loved one or child or meet them at the gate and surprise them is very exciting,” he said. The program will only be made available Tuesday through Sunday between 8 a.m. and 10 p.m. It’s important to note that this is only meant to be a trial run and is not yet a permanent policy. The trial will begin Friday, November 9 and end on Friday, December 14. 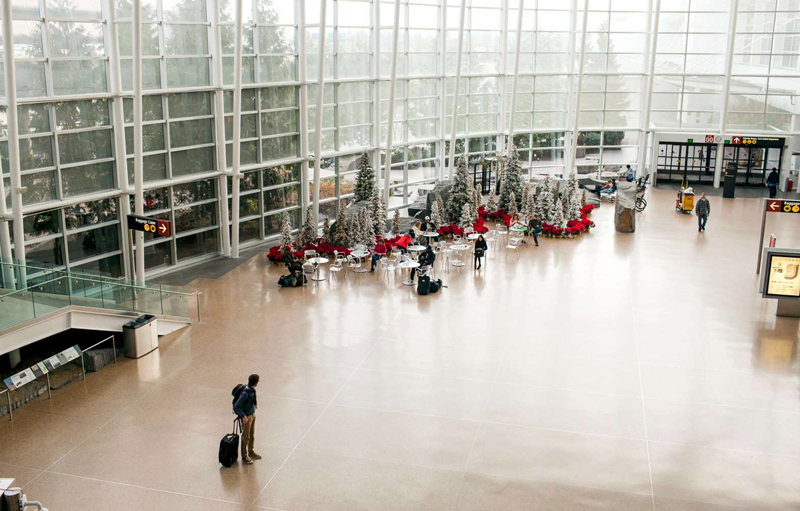 If you are interested in trying your luck at getting a day pass to Sea-Tac to pick up or drop off a loved one (or just spend the day at the airport, if that’s your thing), visit the SEA Visitor Pass website.